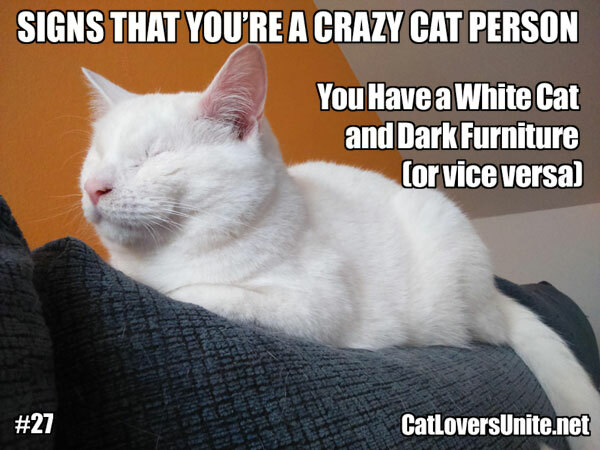 Our weekly “Signs You May Be a Crazy Cat Person” photo with caption will help you decide if you like or really like cats. It’s all in fun. 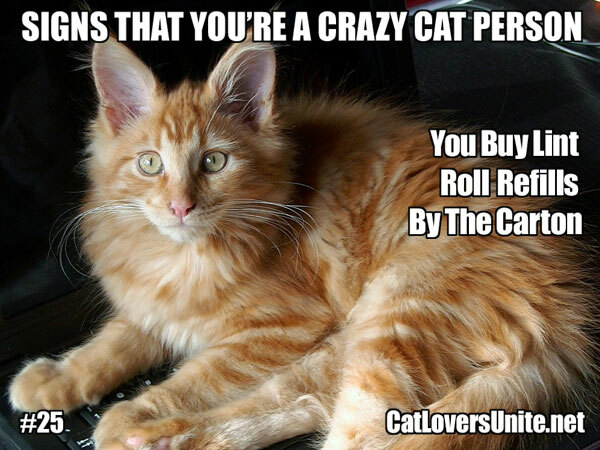 This entry was posted in Crazy Cat Person, Weekly Features and tagged crazy cat lady, crazy cat man, crazy cat people on July 14, 2016 by Cat Lovers Team. 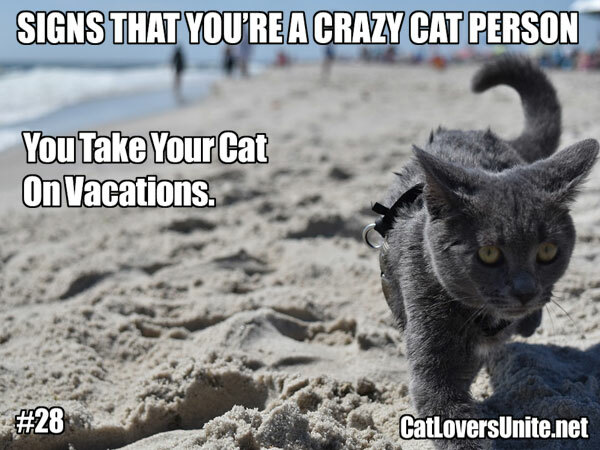 This entry was posted in Crazy Cat Person, Weekly Features and tagged crazy cat lady, crazy cat man, crazy cat people on July 5, 2016 by Cat Lovers Team. 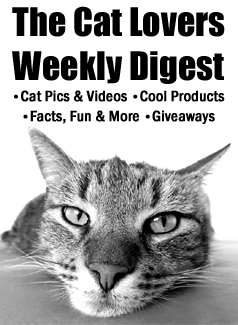 This entry was posted in Crazy Cat Person, Uncategorized, Weekly Features and tagged crazy cat lady, crazy cat man, crazy cat people on May 27, 2016 by Cat Lovers Team. 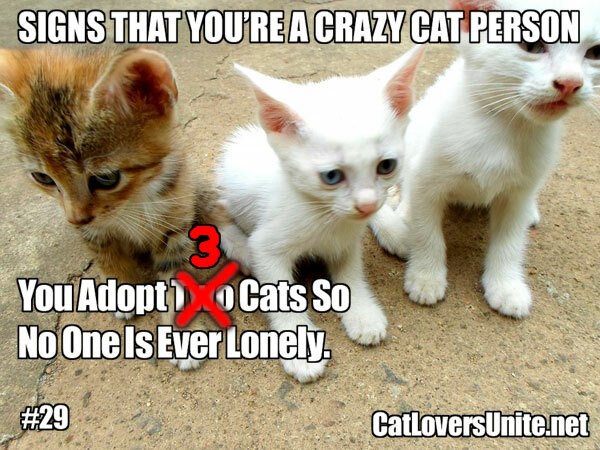 This entry was posted in Crazy Cat Person, Weekly Features and tagged crazy cat lady, crazy cat man, crazy cat people on May 24, 2016 by Cat Lovers Team. 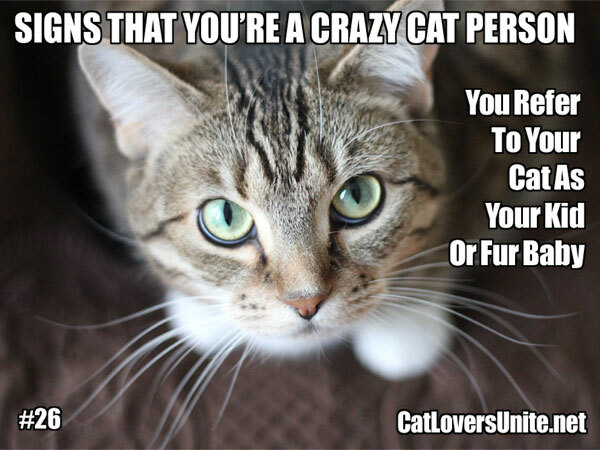 This entry was posted in Crazy Cat Person, Weekly Features and tagged crazy cat lady, crazy cat man, crazy cat people on May 19, 2016 by Cat Lovers Team.